A must-read for all aficionados of Knutsen & Weissenborn guitars! 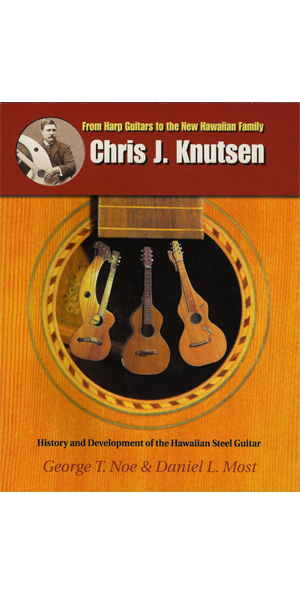 George Noe's and Dan Most's research works enlighten amazing facts about world's first but barely unknown hawaiian guitar constructor Chris J. Knutsen and his connection to Hermann Weissenborn. Noe and Most also bring together many facts about life and work of today's legend Hermann Weissenborn. Many informations & pictures of Knutsen Hawaiian and Harp guitars. Also numerous pictures of Weissenborn guitars. Altogether 80 instruments. Full color.